These Choies tartan pants are really super comfy and also very warm. They have an elastic waist and fit so well, considering they were a one size piece. For a better effect, my advice is to wear plaid pants, especially if oversized like these ones, with heels, just like I did, wearing those Miu Miu Mary Jane pumps that have been in my shoes collection for some time. This soft, statement sweater with those velvet roses decors is from Rosè a Pois, italian brand I love and you saw me wearing other times. With such a fun look, I have chosen to add my small round Stussy New York skyline bag. I have been enjoying smaller bags more and more, and this is really a big deal for me, lover of large bags. One of the things I'd love to find on sale is a beautiful small crossbody bag, I haven't found one yet. What will you be looking for on sale ? Either you stay home or you go out for a shopping spree, have a wonderful Three Kings' Day ! Questi pantaloni tartan Choies sono molto comodi e molto caldi. Hanno un elastico in vita e vestono benissimo, considerando che sono una taglia unica. Per un effetto migliore, il mio consiglio è di indossare pantaloni a quadri, soprattutto se oversize come questi, con i tacchi, come ho fatto io calzando queste pumps Mary Jane Miu Miu che ho da tempo nella mia collezione di scarpe. 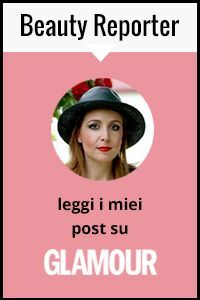 Io li ho abbinati a questo maglione morbido e dalle applicazioni di rose in velluto di Rosè a Pois, brand italiano che amo e che mi avete già visto indossare. Con un look così spiritoso, ho scelto la mini bag rotonda Stussy con la skyline di New York. Le borse piccole mi stanno piacendo sempre più, e questo è davvero strano per me, di solito amante delle borse enormi. Mi piacerebbe prendere in saldo proprio una borsina a tracolla, non ne ho ancora trovata una. Voi cosa cercherete in saldo ? Sia se resterete in casa che se uscirete per fare shopping, trascorrete una Buona Befana ! Non ci posso credere che mi piacciano un apio di pantaloni a quadri e per di più larghi, invece sono fighissimi abbinati a quelle splendide scarpe che se hai 39 passo a rubarti stanotte con la scopa! Mary Jane sandals are total hit with me, have always been and will always be! These shoes are rocking and totally give a great touch to an already amazing and unique outfit! A me questi pantaloni piacciono moltissimo purtroppo non mi stanno per nulla bene..
Bellissime le s arpe, al solito questo look è un tripudio di colori perfetti l uno con l altro. Molto romantico questo outfit e le scarpe sono bellissime! Brava! Cool outfit. I like how you combined the red color in your outfit. Looking beautiful, Vale. Love the sweater, the details are amazing. Cute shoes! Happy 2016!! The pants are amazing....and I love how you styled them! Red is definitely your colour. Adoro, stra adoro questi pantaloni! Perfetta scelta del rosso... e la borsetta? Un amore! Love how you wore the plaid pants! Looks so fab! Sono bellissimi questi pantaloni, molto particolari ed in effetti portati con un bel tacco risultano anche super chic! Bellissimo primo look del 2016!! mi piacciono molto questi pantaloni, ma hanno un problemino, se stai seduta per un pò quando ti rialzi ti rimane la forma delle ginocchia! Bellissime le scarpe! Che bel look, hai abbinato molto bene forme e colori, sei sempre bravissima! In effetti è proprio un'interpretazione leggera e divertente, bravissima Vale! Tra l'altro questo modello non sta bene a tutte ma su di te è perfetto!! Wow che look sei meravigliosa!!! ive said it once and ill say it again, i love when you mix red and blue! suits you so so well :) those pants are so pretty yet so affordable! Love your jumper and your bag is so fun! those pants with red colour match perf! Bellissima Vale! Questi colori ti illuminano il viso... e cosa non è quel maglioncino??? Adoro!!! Buona Epifania e un mega bacio! I love the shape of them....and the pattern. Molto bello questo look, l'abbinamento è perfetto! I tuoi look sono sempre uno schianto……le scarpe mi fanno impazzire!!!! Mi sono innamorata delle tue scarpe!!! Adoro come hai abbinato i pantaloni, sono stupendi! Vale sto cercado disperatamente questo tipo di pantaloni!! Voglio questi pantaloni per due motivi: 1) sono comodosi e dopo le mangiate natalizie ci vuole qualcosa del genere; 2) mi sembrano caldissimi e date le temperature e il raffreddore che non va via ho bisogno di capi caldi. Ottima l'idea di bilanciarli con un tacco! Che bello questo look e la borsetta è carinissima! I'm not a big plaid wearer, at least not on the bottom half. I do love this look though. Molto belli i pantaloni! Un bacio. You look great !loving the outfit! Those Miu Miu pumps are gorgeous. Happy 2016! Your city bag is adorable and that top makes you look like the most lovely present under the tree. Thanks for the nice comment about Buddy. I fear if he ever met Groot though he would use him as a scratching post :) Happy Friday! Hai trovato il modo perfetto per abbinare questi pantaloni Vale: queste scarpe sono favolose e il rosso ti dona tanto! Bellissimi anche gli accessori, la borsetta è adorabile! Ammiro il tuo senso del dettaglio! Those are from Choies? Stunning. I am venturing into plaid too. I love your maryjanes. Fab look Vale. Love the pants :) Bonjour from FRANCE, Sand.